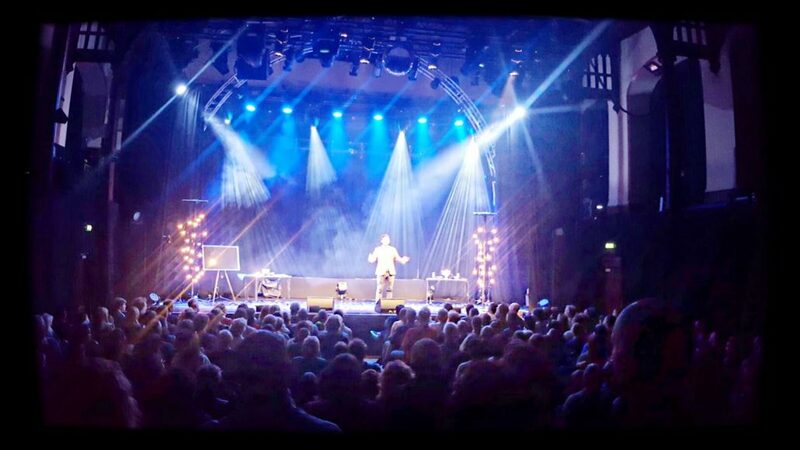 WARNING – this blog doesn’t contain the excited, showbiz messages and anecdotes I really should be writing about but instead a look behind the curtain to see what really goes on in my magical life. It was early 2015 and I had been a close up magician for almost a decade, performing at some of the most prestigious events and venues in Scotland and around the UK. In the magic industry, you are typically booked by private clients or agents to perform at a birthday party, or wedding or company party, maybe they’ve seen you before or found your website. It’s a wonderful job, you make people happy and amazed, but I wanted a change. There’s a certain monotony that sometimes kicks in, you perform the same tricks over and over again. You get really good at them, you don’t need to change them as the audience constantly changes. Ultimately the challenge and spark disappears. Speak to a jaded close up magician and you’ll know what I mean. So two and a half years ago I decided that I wanted to cut back on my private work and work on my public performances. It’s been a dream of mine to stand on stage and do large scale performances since I became a magician. To follow in the footsteps of my idol The Great Lafayette. The satisfaction of earning an income from ticket sales, or having someone see your poster/facebook post and then deciding to part with £20 to come and see your work on stage gives a performer perhaps the most rewarding feeling possible. So I put a plan together, to slowly move out of what we in the business call close up magic and into live shows for the public. It was a rocky road and I knew that I would be taking on more work for possibly less income. It was a huge jump; risking a successful and stable line of work to sell tickets for shows at festivals and events around the world. In the same way British would say ‘break a leg’ before a show, the Australians say ‘chookas’ (chicken). The idea is that if you have a good enough show then you’ll make enough money to have chicken for dinner. If you don’t sell tickets well, you don’t eat. It took two years, two long years. My accountant quizzed me on the drop in income. I felt pressure from my family. I questioned the path many times and meandered but always came back to the plan. But thankfully this year has been the break through – the first where my income from ticket sales has surpassed that from private bookings. I’ve never felt so happy with my work. It’s opened new doors and created opportunities that I couldn’t have imagined. All because I made a plan and then took the risk of following it. My secret? Well it comes from a motivational quote used by an old school friend now retail manager for a large carpet chain. How do you eat an elephant? Piece by piece. The dream of becoming a stage magician seemed so distant that had a focused solely on that I would have been lost with the enormity of the task. Breaking the journey down into manageable chunks and then taking chances when the presented themselves was how I made it work. I have to work harder now than I ever have, but I’ve never felt so happy with my job. I hope you find the story interesting or inspiring. And if you’re a potential client organising a large event that may require a magician – note that I’ve not completely dropped private performances….